Using the page editor, you can add form fields directly to your pages to collect data and process requests on your Papyrs intranet. We’ve recently released a couple of updates to the form records view, including an updated design, a quick find-as-you-type search, and sticky headers and scrollbars to make it easy to navigate large tables. We hope you like these updates! This entry was posted in New Features on September 24, 2018 by wim. Ridestore is a fast-growing company in snow e-commerce. Next to offering familiar brands such as Adidas and Nike, they also created their own DopeSnow and Montec brands in collaboration with their customers in the snow wear community. 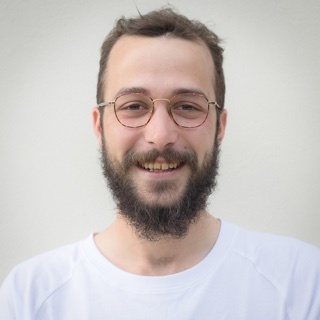 We talked to David at Ridestore about how they use Papyrs to enable everyone in their remote team to have access to all the information they need to be productive. Without having to ask around for pieces of vital information, the team can put all their focus on providing great customer service. This entry was posted in New Features on September 5, 2018 by wim. 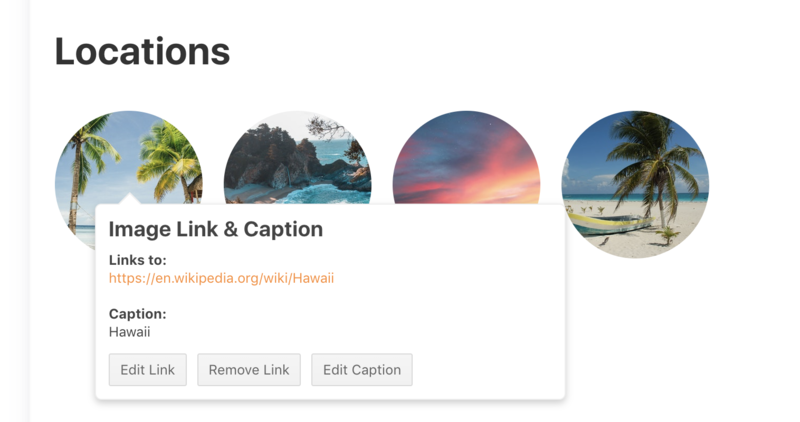 The Attachment widget in Papyrs can be used to upload files to pages, like PDFs, Office documents or anything else you want to share with co-workers. 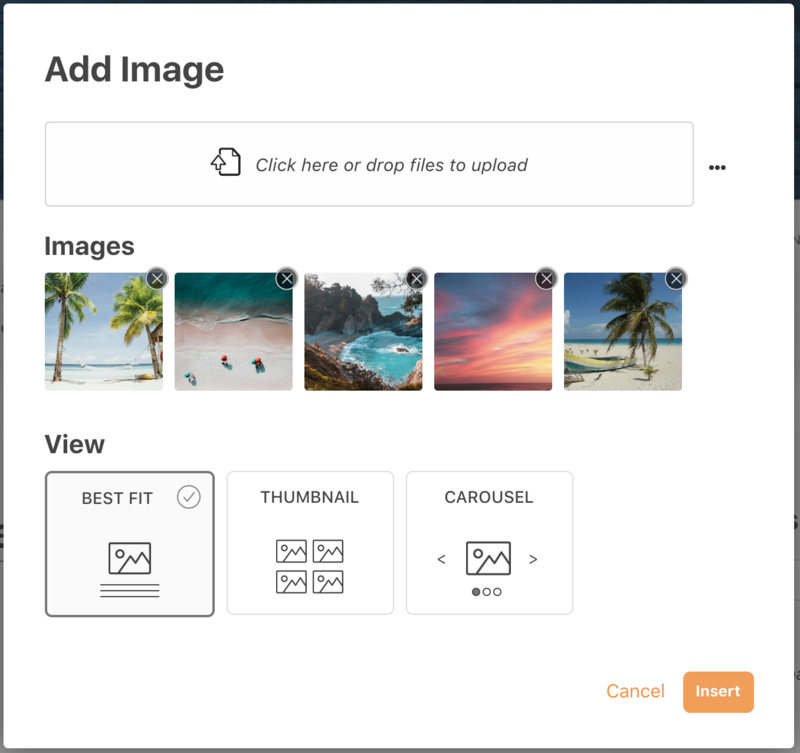 You can upload files directly from your computer with drag&drop. 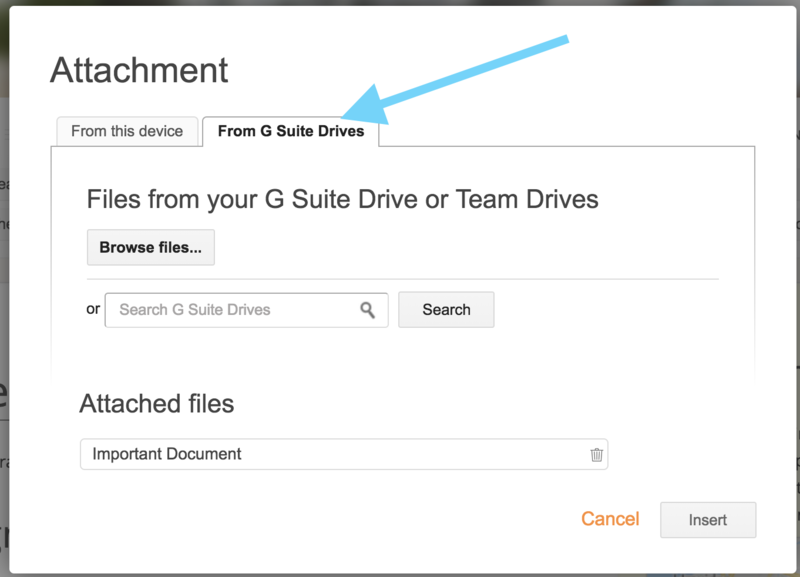 For those of you using Papyrs together with G Suite, we wanted to share a quick update to the Attachment widget: next to files from your PC and Google Drive, you can now also add files from Team Drives. Just edit a page, add an Attachment widget, select the From G Suite Drives tab, and click Browse files. This entry was posted in New Features on July 16, 2018 by wim. 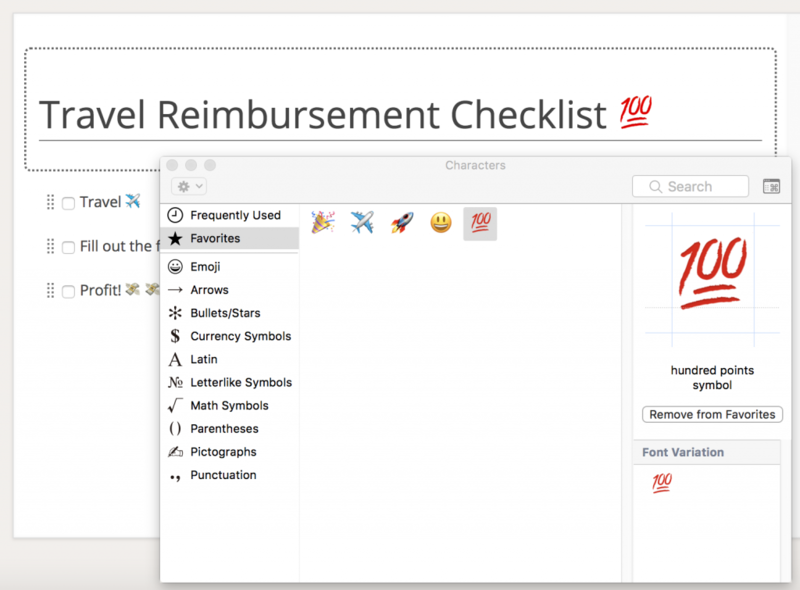 Icons are a great way to make navigation easier and make your pages look nicer. You can use them in places like headings and the menu bar. The icons will automatically show in the color of your theme to match your site’s branding. Next to icons, it’s now also possible to use emojis everywhere in Papyrs. You can use them in pages and comments, for example. On macOS, you can bring up the emoji keyboard with the shortcut Control+Command (⌘)+Space. On Windows, press Win + . 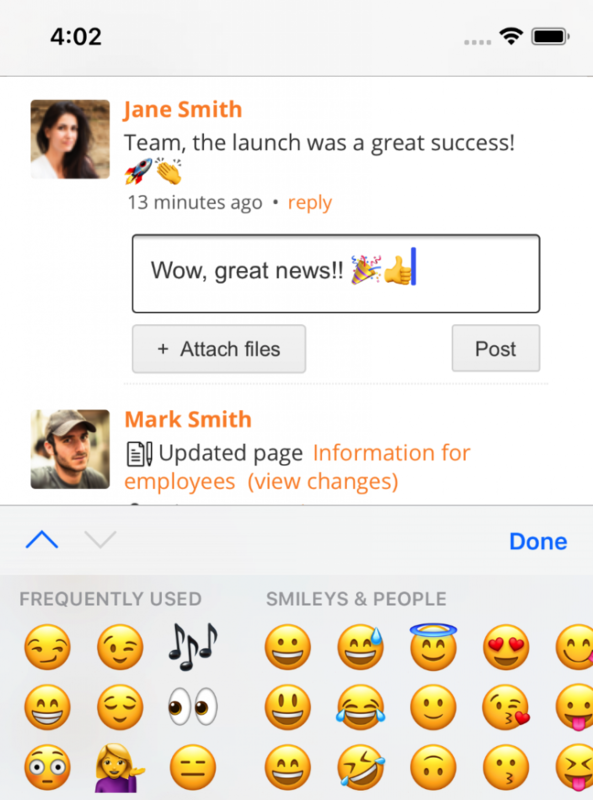 (period) to bring up the emoji keyboard when editing. This entry was posted in New Features on June 26, 2018 by wim.